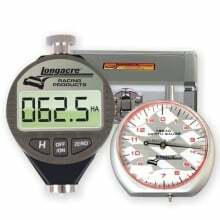 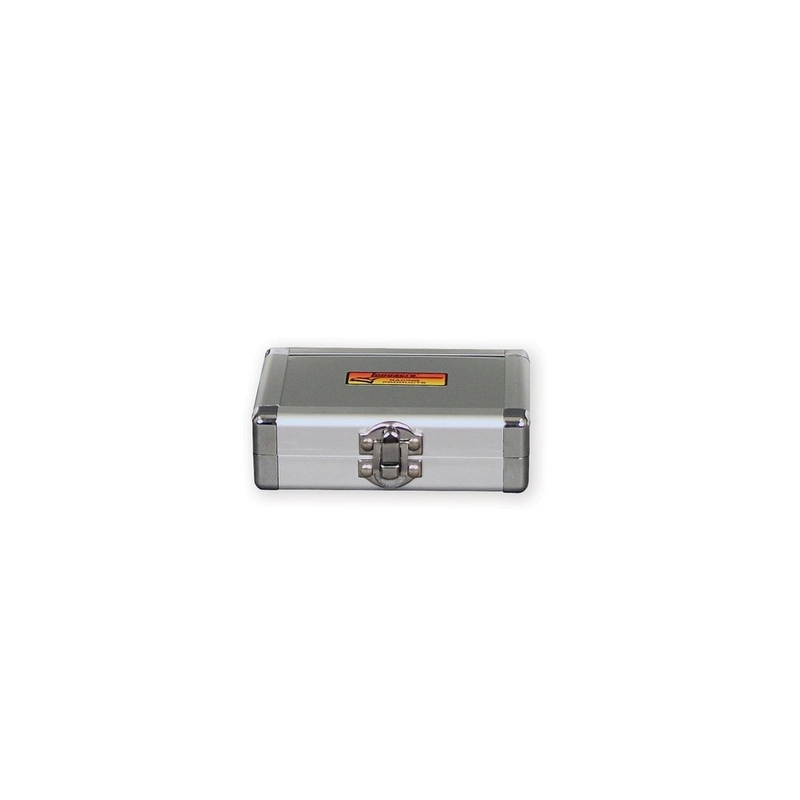 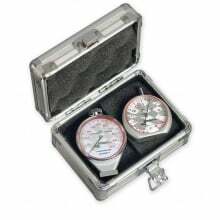 Longacre 50547 Digital Durometer with Silver Case keeps the highest value racecars at the front of the pack. 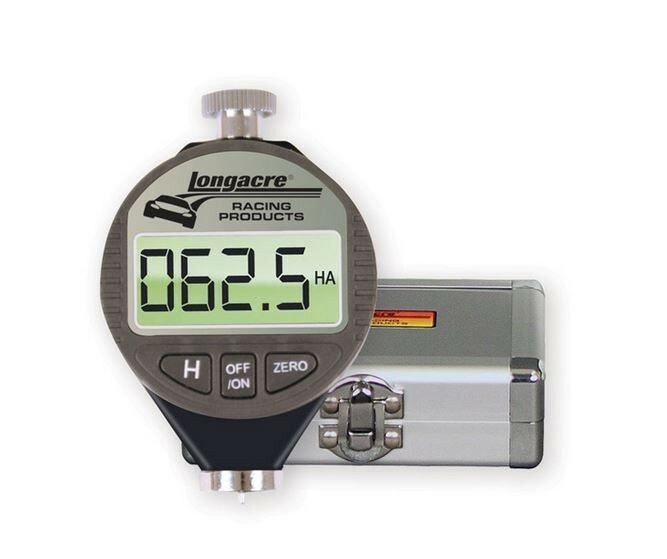 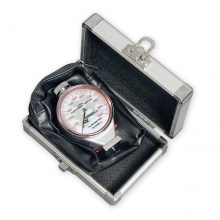 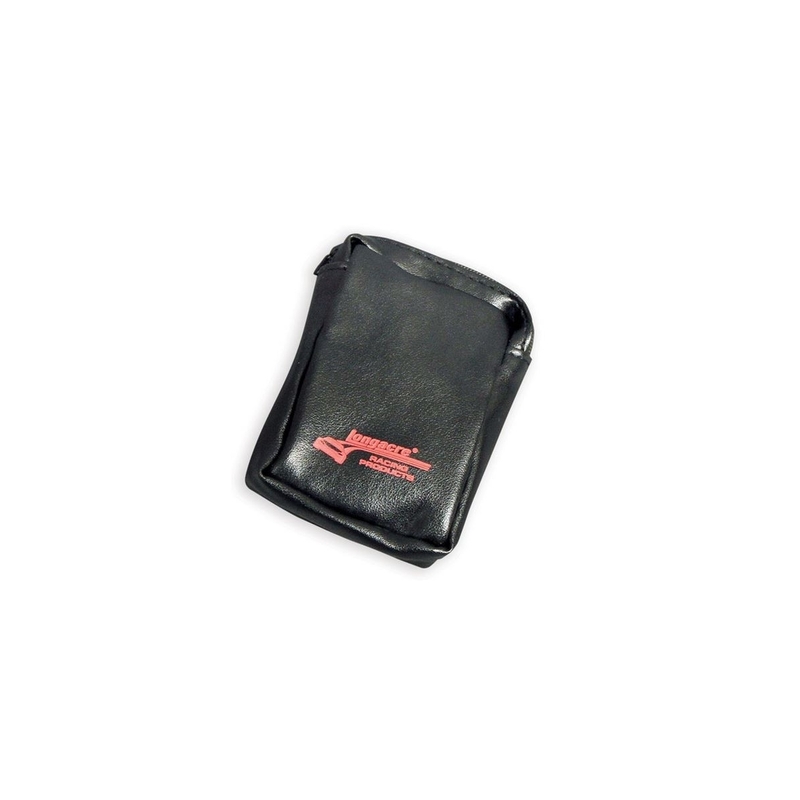 Longacre Digital Durometer with Silver Case is a trackside favorite with many teams from ChumpCar to Grand-Am. 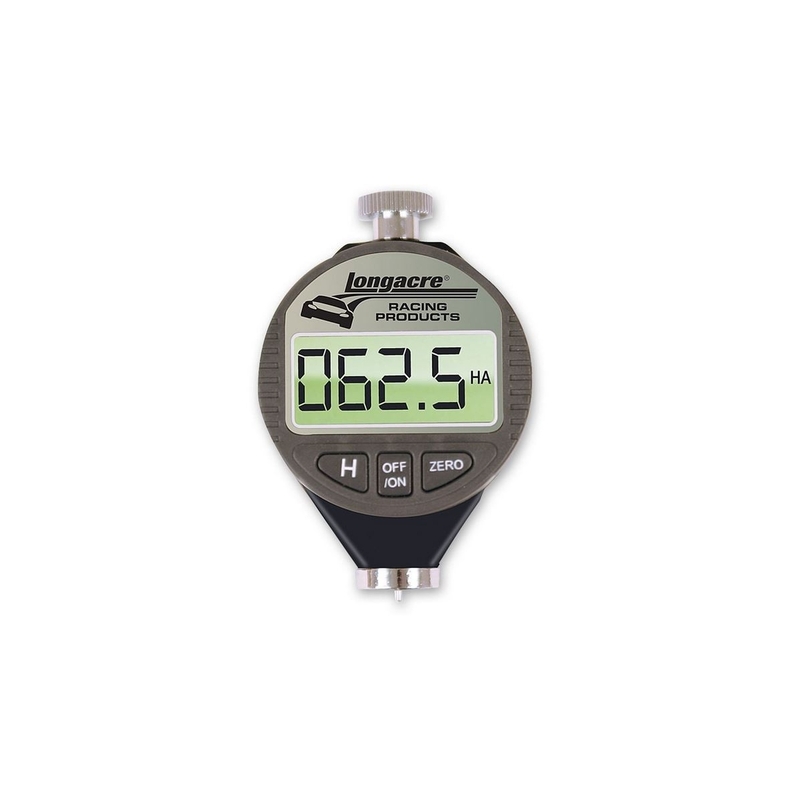 For the most consistent results rock the durometer from angled back past straight up to angled forward. 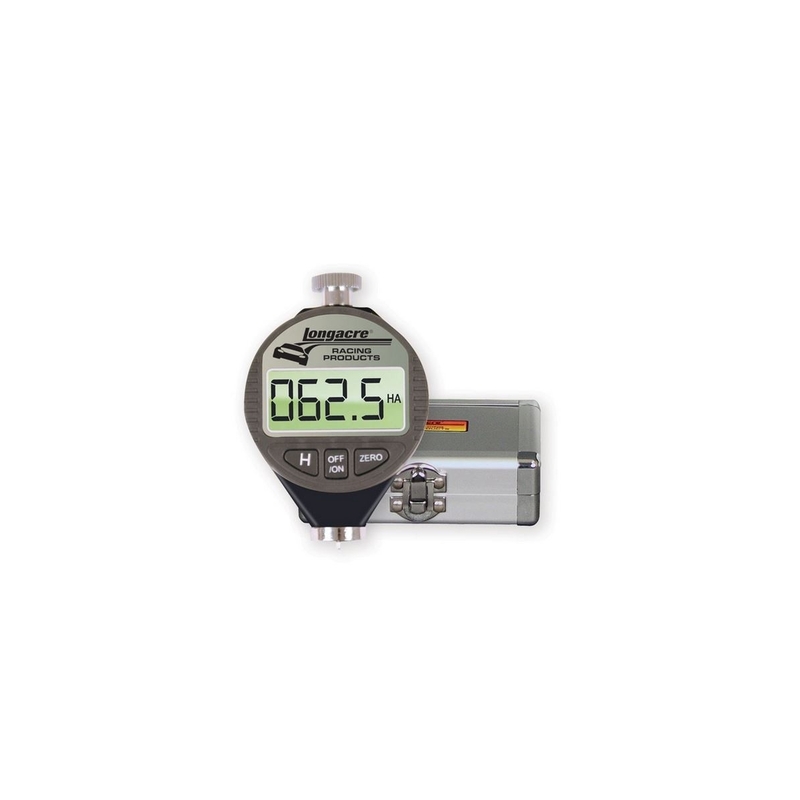 The readout will move up to the highest (true) reading, then back down. Record the highest reading reached. 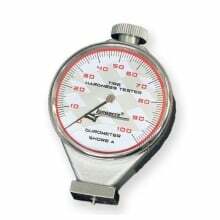 The durometer must have a straight edge on base to do this properly. 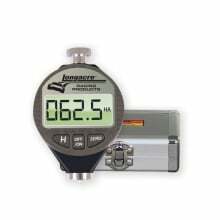 If you just push straight down you may get inconsistent and inaccurate results.